QuickSet Cloud is always hard at work making lives easier in everyday scenarios, even when you don't see it! QuickSet Cloud was introduced in 2015 to expand QuickSet capabilities, including discovery & detection algorithms. By September 2016, we introduced newer features such as Predictive Discovery. Shortly after, with strong demand for our cloud services, it was evident that we would soon grow out of the space we were at, and by the end of 2016 we made a major migration to Microsoft Azure. Today, QuickSet Cloud continues to grow and powers products from leading brands in the world. QuickSet Cloud was accessed by over 500 million devices across the globe in the last month alone! A prime cable provider in South Korea, a country with a population of 51 million, generated over 84 million transactions last month on QuickSet Cloud! In the Middle East, in a small country with a population of only 8.5 million, we will be going live soon with a leading cable provider. During our testing phase alone, the provider made nearly 239 thousand transactions in a month! With a yearly run rate of 15.3 billion transactions, over the last three years, we have grown by 6020%!! With a yearly run rate of 15.3 billion transactions and growth of 6020% over the last 3 years, QuickSet Cloud is powering products from leading brands in the world. We assist consumers through the setup process, however, our best measure of success is that consumers don't even see our technology and we fully automate their device setup experience. At the end of 2018 we went live with one of the largest telecom providers in the United States. Considering a user-driven setup takes 5 minutes to complete, utilizing QuickSet Cloud helped these customers save over 17,000 hours last 30 days! This is because 93% of the TV setup experiences were fully automated with no user intervention. Automatic TV setup saved the telecom provider consumers over 17,000 hours in the last 30 days! Similarly, in 2018, we rolled out with a prime cable provider in Europe, and over the last 30 days alone, achieved a consistent automated TV setup rate of 94%! Continuing our success stories on a different category of devices, a fully automated TV setup rate of 89% was observed for a prime OTT provider in United States over the last 30 days. As North America has been quicker to adopt newer entertainment devices, such as transitioning from AVRs to soundbars, we see a noticeable difference in the usage of AVRs, with only 5% penetration in North America, and about 19% in Europe. 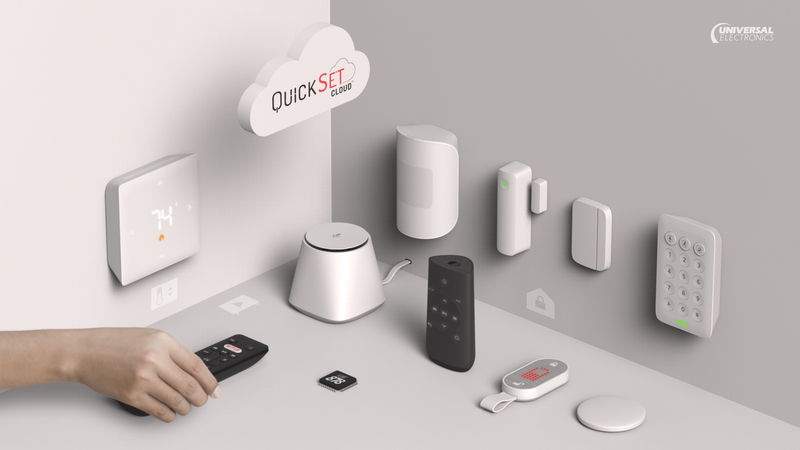 In addition to powering most of the leading televisions and set top boxes, QuickSet Cloud is now used by a growing list of devices across smart home gateways, smart lighting systems, gaming consoles, smart speakers, robot vacuums, to name a few!